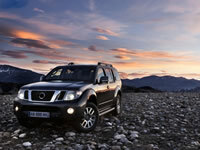 Like other Japanese brands, Nissan is known for crafting vehicles that place an emphasis on quality and reliability. The company boasts a wide range of cars, minivans, trucks, and SUVs, including the popular Altima sedan, the Z series sports car, Frontier pickup, Murano SUV, and the all-electric Leaf. Keeping your Nissan on a regular preventative maintenance schedule ensures it stays safe and reliable for you and your family through the long haul. Our multi-point inspections (included with any service) and honest approach to vehicle maintenance and repair see to it that your car is fixed correctly and at a fair price. Our Nissan service and repair shop is equipped with state-of-the-art equipment and diagnostics to best service your car. Give us a call today at (253) 604-4128 or fill out our contact form online.